Be the first to hear about their new releases and deals. Download the Booksprout app and search for Freddie Silva today! Freddie Silva lives in Charlotte, North Carolina. He has a passion for history, religion, and mythology. He strives to use elements from these interests in his writing. 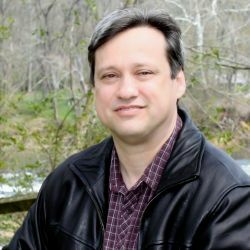 He has published stories in a variety of venues including Catfish Stew; Triangulation; The Alchemist Review, Short & Twisted Christmas Tales, and Broadswords and Blasters. His Kingdom of Haven series, The Order of the Wolf, Stenson Blues, and The Eastern Factor are available on Amazon. He can be found at www.freddiesilva.com.